If you know us at all then you are familiar with our obsession with the outdoors, recycling and saving the planet. 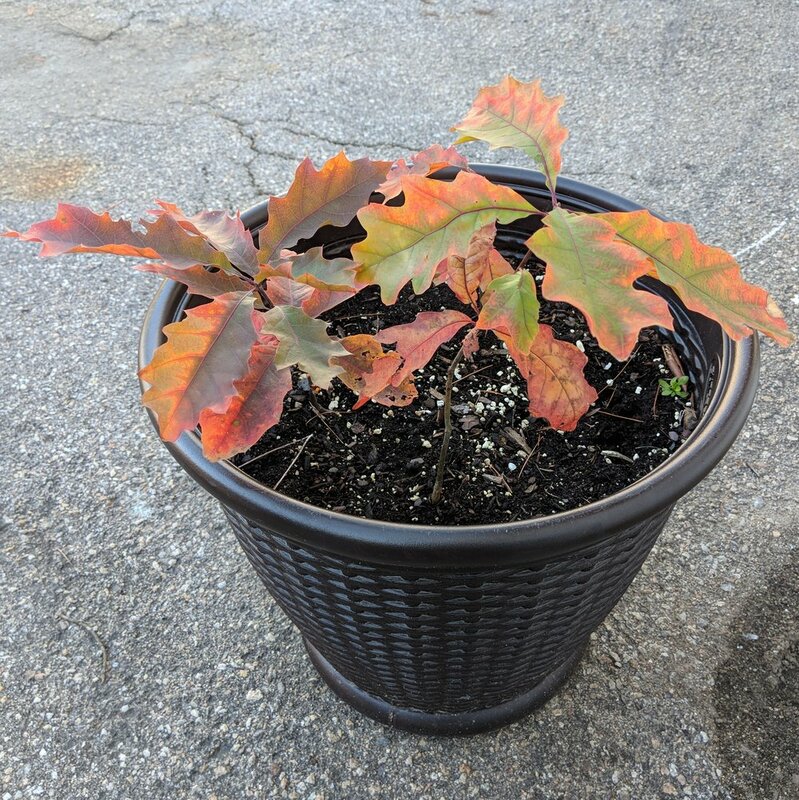 This past spring we took three acorns from a nearby oak tree and gave them some love. Just six months later those little acorns are on their way to being trees! They were in full fall mode in early November just about ready to shed their leaves for the winter. We were stoked to see this ridiculous growth and those brilliant colors. We plan on planting them on our property in the spring! Like they mention in the article, CR is small and has unique natural resources to make this happen but hopefully other Central American and Caribbean countries will follow their lead and start making a major impact on global CO2 emissions. If enough nations switch to renewables then maybe there will be enough peer pressure and technological scale to get the U.S. on the right track as well. It is a new year, anything is possible, right?